Have years of stains accumulated in the carpets in your home or business? Now is as good a time as any to have it thoroughly cleaned by professionals. The team at Fresh N Clean in Midland, TX can make your carpets look like new again in no time at all. Cleaning years’ worth of accidental spills of pet accidents, coffee, or food from your carpeting and making it look brand new might sound too good to be true. What many people come to find out when they call on Fresh N Clean for the job is that it’s possible! Our professional staff will help you throw any doubts or worries out the window. When it comes to your residential or commercial carpeting, it’s important to always maintain its appearance. 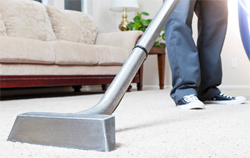 When you need your home’s carpets cleaned, you can count on our team to arrive promptly and be ready to get to work. We’ll have your carpets cleaned and dried quickly and efficiently, just in time for your dinner party or family gathering later at night. At Fresh N Clean, we take pride in our work. We go from homes to churches to restaurants, and other businesses throughout Midland, TX, giving each and every customer the same amount of quality work and friendly service. We use environmentally friendly cleaning products that are safe to touch and be around. Rest assured, we keep safety in mind for the benefit of your family, customers, or employees. Fresh N Clean uses the latest and most effective products and techniques on every job. That way, we are able to deeply clean any visible or unseen dirt with ease. 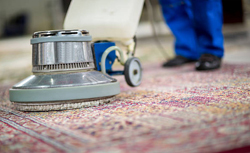 Your carpets are sure to stay cleaner longer after we’re done with our carpet cleaning process. We use only the best products to ensure the best results. 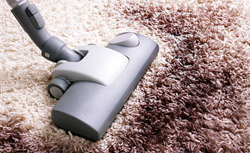 If your home or office has a carpet, we’ll clean it for you! Our company just started out, but we are looking to make a huge impact on the carpet cleaning industry. We’re ready to take the industry by storm and show residential and commercial customers what we are capable of.